After sharing multiple tracks from their new album The Yips (WarHen Records), Left & Right's follow-up to 2014's Five Year Plan is now available for streaming in its entirety below. 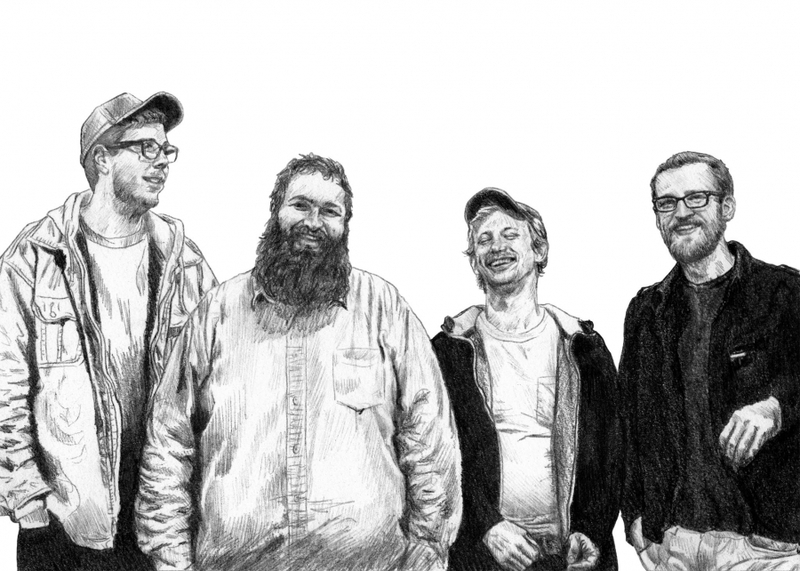 The group is currently on tour in support of the LP, and will be making a stop back home in Philly this Friday, September 16 for their album release show at Everybody Hits. This tour will also be your last chance to see drummer Zak Krone as a member of the band. He will be moving on to "the next phase of his life," but you'll still be able to catch him performing around town with his new project Bruise Bath. You can read more about his departure HERE. Below is the latest single from Virginia transplants Left & Right called "Mouse Drum". The mellow rocker can be found on their forthcoming album The Yips, due out September 16 via WarHen Records.The band will also be heading out on tour towards the beginning of next month in support of the new record, and will be making a stop at home on its release date at Everybody Hits with Friendship, Horsecops, and Sneeze. 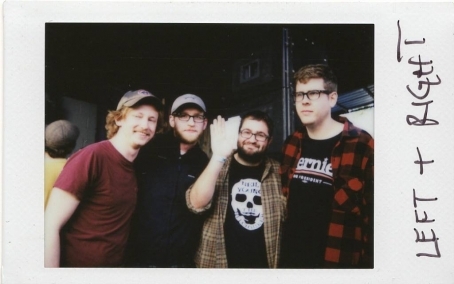 Virginia transplants Left & Right have released a new EP Pivot Foot. The quartet invites you into its up-close and personal lyricism before dashing forward with musicality that both cleanly unites and exhibits an inebriated rawness, which tempers that marked refinement. The band is currently picking up its pivot foot, traveling on a short run of tour dates, and you can also find the EP on cassette via Oxtail Recordings.